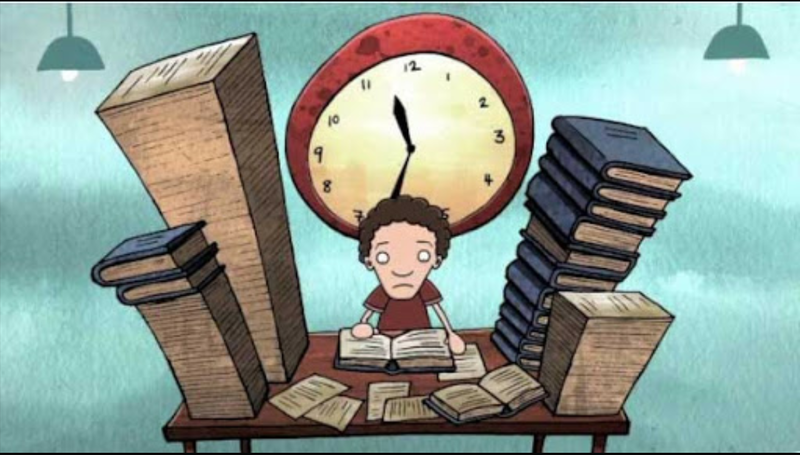 Home » Aside » Examinations – Yay or Nay? It is a sigh of relief for students when Examinations get over. Celebrations begin and it is never ending happiness. Accept it or ignore it but exams are unavoidable. They bring in stress for a few students, but it is unavoidable. Moreover, there are pros and cons to everything. So, are exams necessary? Exams are necessary because without them there will not be any motivation for the students to learn. Exams push the students and drive them to learn their course material. With respect to the future reference, evaluation of exams will help the employers to identify the candidates who are motivated and hardworking individuals. Most of the disciplines have specific bodies of knowledge that the students must learn. Biology students must learn about the different diversity and classification of life forms, Physics students need to learn about thermodynamics while History students should learn about the cold war. Thus, examinations help to assess and check the breadth of understanding of the child related to different disciplines. Since the time education has started, examinations have been conducted and evidence has it that both studying and sitting for exams deepens one’s learning abilities. Studying is one of the best mental exercises to practice. The process of searching through one's memory and retrieving the relevant information strengthens the memory pathway and this is exactly what examinations do. The information that you studied is retrieved in the examination skill. Researchers say that learning is especially strong when students do a self-evaluation. Students can solve the previous year papers before the D- Day. The students generally dread physics examinations. So, beforehand solving at least previous 5-year papers is recommended. There are an ample number of educational sites that provide previous year papers. The solved paper of 2016 Physics Delhi is available on educational site. Apart from that, many of the important qualities a student develops in their life are formed when they prepare for exams. Qualities like perseverance, problem -solving abilities and analytical skills, creativity, leadership and sense of pride are certain skills if acquired will help us for a lifetime. The baby steps to be taken are igniting curiosity in the minds of children and encourage them to learn things in order to quench their curiosity. Some other alternative methods instead of conducting exams suggest project based tasks that focus on student’s creativity and interest. For example, history students might be asked to choose a research a historical character in depth. Students studying business studies would be asked to design a pitch for a new business seeking venture capital. Tasks like these develop a student’s high order thinking skills such as the decision-making power. However, the project-based tasks are not alternative to examinations. A fair and balanced evaluation scheme can be achieved by the examination results. A variety of strategies and tasks are devised to assess each student, which can measure the breadth of knowledge.